Bright lights...screaming fans...cute roadies...country music sensation Bird Barrett has officially arrived. Next up on the road to stardom, Bird's heading out on tour. Between opening for one of the biggest acts in country music and meeting a passionate young photographer who's working as part of the backstage crew, the weeks pass by in an exciting blur. It might even be enough to distract Bird from the way things ended-or never quite started-with Adam Dean. When the tour wraps, though, it's back to reality. The label is eager for a new hit song, but the sudden fame, complete with a media-fueled rivalry with another country music starlet, has Bird questioning her priorities. Before she can pour her heart into her music, she'll need to figure out where it truly lies. 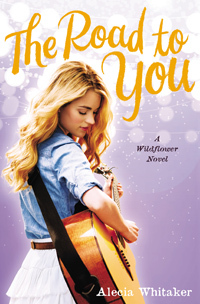 Filled with sweet country music spirit, Wildflower is a series you just can't get out of your head.